You may have heard that time is limited to the third dimension and more so an illusion. Why is this? Can we understand what time is, and thus understand how to transcend it? Absolutely! And I’m here to let you in on the how. 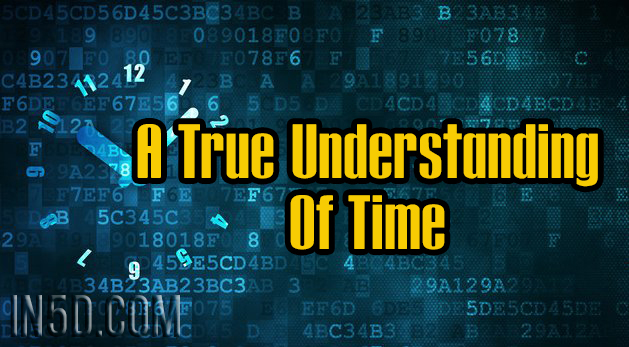 In order to understand time, we need to understand the basics of this universe we live in. There is a ton of info out there if you’d like to know more, but here’s a very basic outline of what I believe. The universe is created from energy, so everything is energy, even us. We are eternal souls created from conscious energy. Everything is connected, and we are all a part of that conscious energy that created everything. Now, when we understand that everything is energy, it makes it easy for us to understand that the only thing in this universe is connection (love) and the ILLUSION of the lack thereof. The only thing that really ever changes is our awareness of it, and if you want to get technical, our awareness determines the frequency and vibration of energy. As we ascend we truly only gain more awareness. Throughout our time on Earth we’ve been descending in awareness, until now. As a species we’re now beginning our ascent back into awareness to ultimately rejoin our original frequency of love (connection). As the years have gone by, we ultimately became so unaware that we forgot that everything is energy! This is when we very first started to look outside of us to keep track of energy, which became known as time! Crazy, I know! Time is simply our unawareness of energy. :) Don’t worry, I’ll further explain with some examples. Let’s look at astrology, which, we created as well. We’ve mapped out the rotation of the earth, and even the other planets and cosmological bodies, in relation to us and the sun. People have wondered how the stars can predict what’s happening on earth. Well friends, this is because they move according to energy, which we create/decide, but instead of us being aware of this we have given our power away to time. Time doesn’t exist, it’s something we created in order to keep track of the flow of energy from hours, days, to years, even eons. Even our birthdays tell a lot about us because we chose when to be born by choosing the specific level of energy (awareness) we wanted to experience in this lifetime. We’ve given rise to seasons, temperatures, cataclysmic events all to explain the flow of energy because we forgot that we control everything. Is it a coincidence that our energy is rising when the Mayans predicted it? No! Because they were simply following the flow of energy that we all mapped out for ourselves. If you look around the world you can see the evidence of what level of energy a certain climate holds. Winter is known for causing seasonal depression, most likely because it truly does carry lower energy with it. Even global warming is a myth. I believe the climate is changing because we are becoming more aware of energy, and global warming is yet another form of fear to try to make us believe that we have no control over our environment. In a highly evolved we would be able to decide what level of energy (season) we want an area to experience. So, if time is our unawareness of energy, what is a timeline? How do we close timelines? A timeline is simply one pathway that travels through a specific level of energy vibration. When we close a timeline, what we really do is rid our consciousness of the vibration that holds that possible timeline. So in effect by converging all our timelines into one, we’re simply all gravitating towards the vibration of pure love, which has only one timeline or vibration. Even space is an illusion. Created by us, in order to understand and give our power away to the illusion that we’re not all one conscious energy. When you raise your awareness high enough you remember that we’re all connected and space is an illusion, just as is time. Although space is still helpful to us in this dimension, I believe that it’s time for us to take back our power and rid ourselves of time. To understand that the earths rotation, the planets rotating around the sun, even the movements of the stars and other galaxies is all just the flow of energy, which we are very much a part of and connected to. As within, so without. Instead of astrology predicting our future we will be able to not only predict astrology but also determine it by determining the flow of energy. How amazing does that sound! Perfectly exquisite to me:) thank you so much for allowing me to share this profound truth I’ve remembered, I hope that everyone who reads this will gain a re-understanding of what time is and how all of us can become master of it.